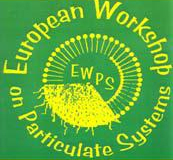 The European workshop on particulate systems was founded in Berlin in 1998. It is a European Network of Leading Institutes of Pharmacy/Departments of Pharmaceutics and Biopharmaceutics focusing on nanoparticulate delivery systems. Since, 1998 EWPS is a bi-annual meeting being held and organized in one of the cities of the partnering pharmacy institutions. EWPS presentations are essentially made by postdoctoral fellows and Ph.D. students provided by each participating group. The workshop will start at 9:30 am (for welcome) on March 13 and end up at 1:00 pm on March 14. The detailed program you can find here. The abstract book you can find here. The meeting will be located at the main campus of Utrecht University (“Uithof”), “David de Wied”-building, room M2.01. Street address: Universiteitsweg 99, Utrecht. 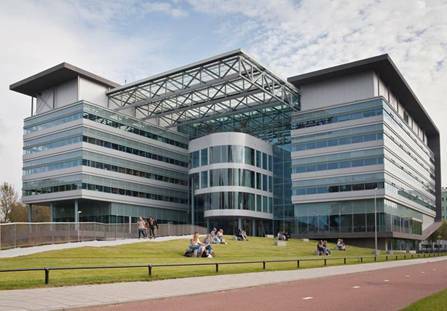 From the main train station and the centre of Utrecht, the campus is easy to reach by bus in approx. 15 minutes, using bus line 12 or 28. Tickets can be bought at the bus driver. Leave at the bus stop called “Heidelberglaan”. From there it is just a few minutes walk to the “David de Wied” building: continue walking in the same direction as where your bus is going, turn first street to the left and after another 100 meters you will see the building in front of you at the corner of the streets “Universiteitsweg” and “Leuvenlaan”. - Take the train to Utrecht main station (direct train, runs every 15 minutes and takes about 30 minutes). - Rotterdam and Eindhoven are international airports close to the corresponding cities that also have direct train connections to Utrecht. - Other airports that are quite easy to reach by train from and to Utrecht are Düsseldorf and Weeze in Germany. - From Germany: direct train connections using the ICE (from/to Berlin and Frankfurt). - From France and Belgium: take Thalys to Rotterdam and switch train to Utrecht.